Here is a small tutorial for posting pictures here on TAC. 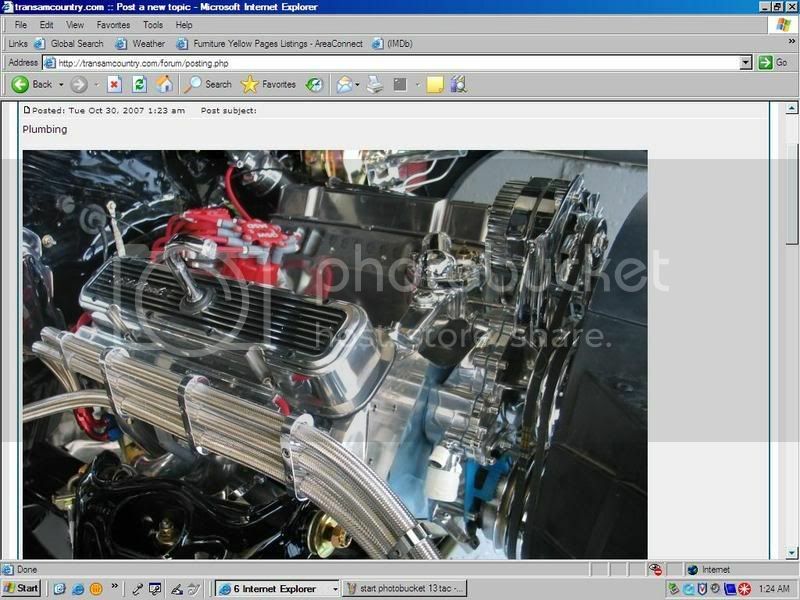 There are many image sharing hosts out there but for this tutorial example, I will be using Photobucket. It is easy and free to use with storage capabilities up to 1 Gb without upgrading. First off, goto www.photobucket.com and register. Once you have register, you will come up with a screen similar to this one. Next step is to create a sub album. This will keep all your related pictures together within their folders. Just remember to be in that album when you upload the pictures to Photobucket or you will have to move them over afterwards. Also, any pictures you move say down the road from one album to another breaks the link and the pictures will not show up at any of the sites you have posted them. Here I am naming this album POSTING PICTURES. Once you have created your sub album, you must click on it to add or view pictures within that folder. Your sub album should come up next to your name. Now that we have created a sub album, it is time to upload some pictures from your computer. Click the browse button to open a window for finding your pictures. Your screen should now show this after hitting the open button. 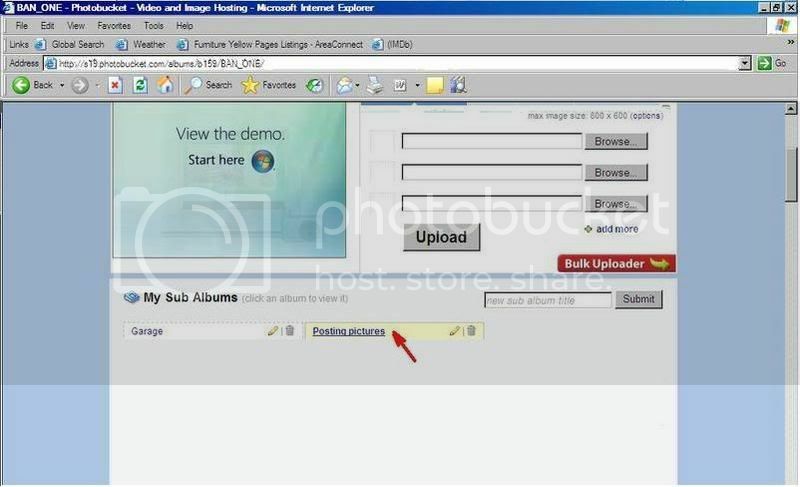 When you are done finding all the pictures, you are ready to upload them to Photobucket. 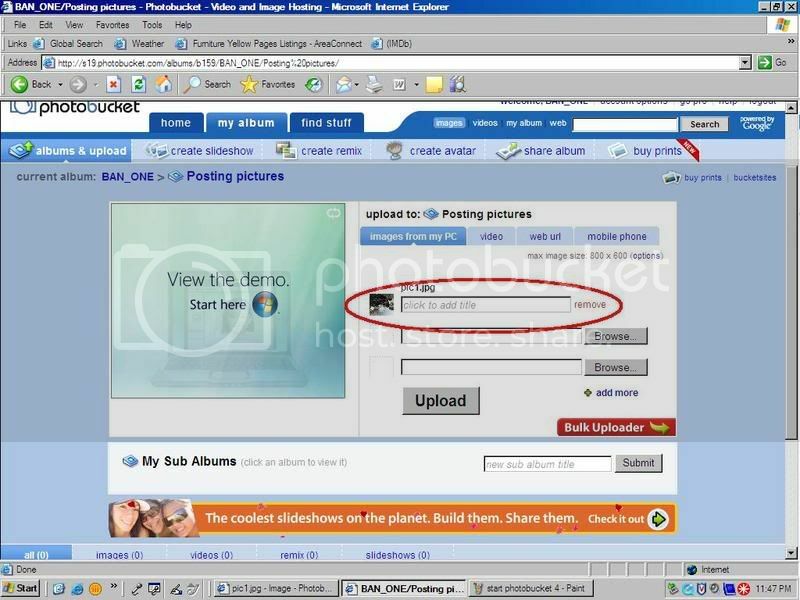 Photobucket will notify you when all your pictures have been uploaded. Depending on your server and amount of pictures, this may take from a few seconds to a few minutes. If you scroll down, you will see your pictures within the album. 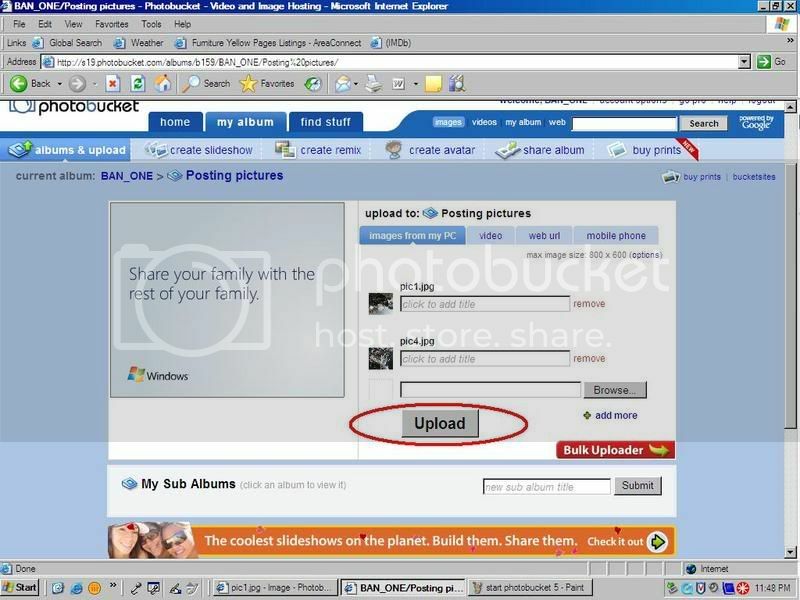 Now that Photobucket has your pictures, you are ready to add them to your post. You will need to have two windows open for this. Next, within your post, right click and paste the link. If you did it right, you should see this within your post (before previewing or viewing after posting). Add any other additional pictures in the same fashion as the first one. Make sure you drop a line or two before adding any additional pictures...otherwise your pictures will be side by side. When you preview or view your posted topic afterwards, your pictures will magically appear . That is all there is to it. Have fun and lets see them pictures . Thanks for reposting this, John -- now all I have to do is reference the link rather than hammering my poor keyboard some more! I will try to update to the new look of TAC and Photobucket in the next few days. MESS WITH THE BEST WE'LL PUT A BULLET IN YOUR CHEST. 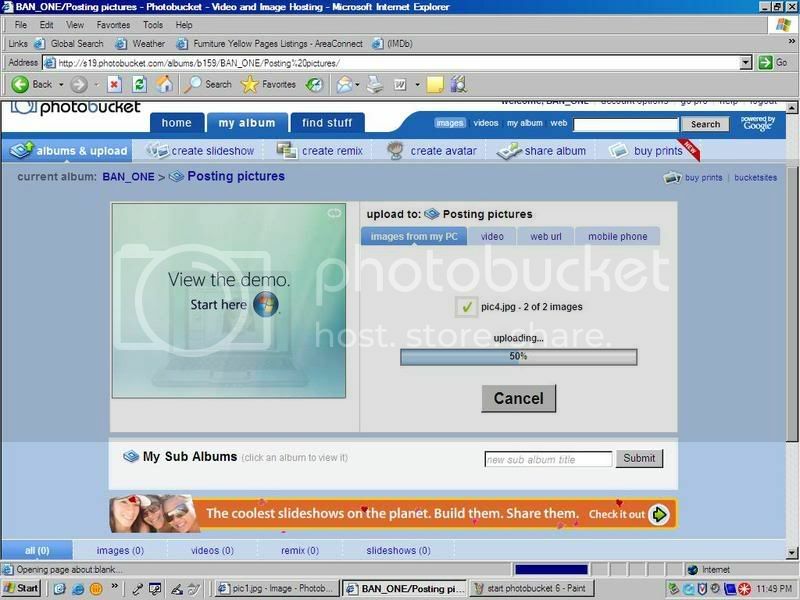 Re: Photobucket and TAC...How to post pictures. Holy crap!!! You need a degree to figure this one out!!! It's a problem that pops up now and then with the forum itself, especially when trying to post more than one picture in a post or a large pic. Simply click "back" on your browser and then hit "Submit post" again. 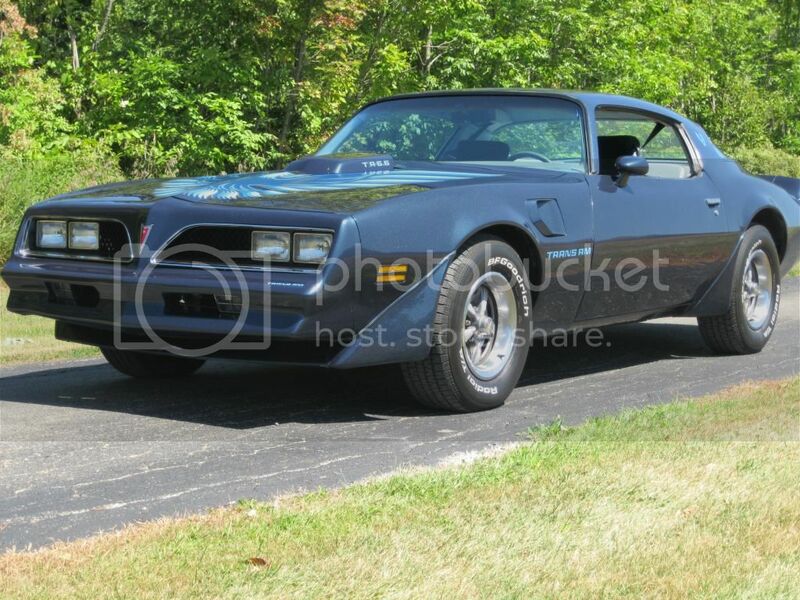 1977 SE TRANS AM 400 4SPD WITH A/C HURST HATCHES W72 Y82. 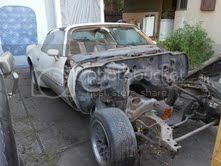 1979 FIREBIRD FORMULA 403 AUTO.NUMBERS MATCHING. 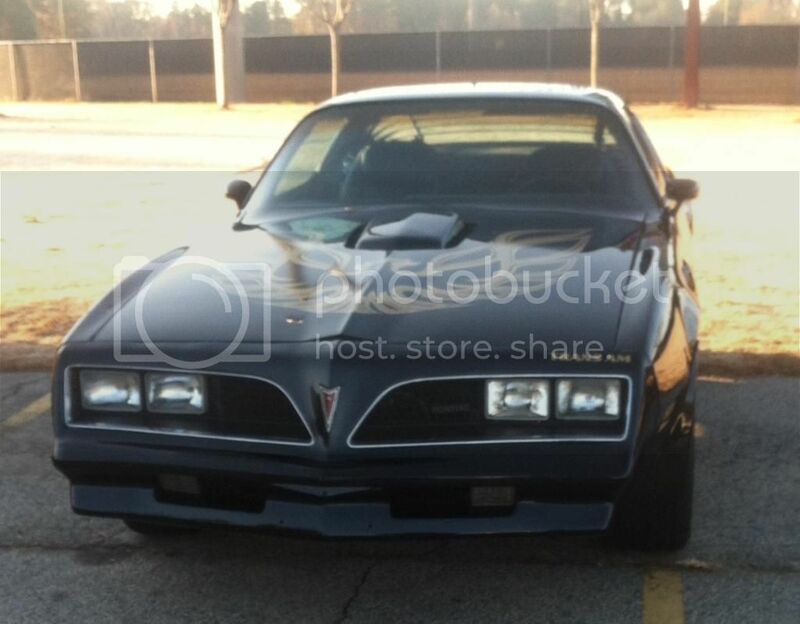 I have a question about rotating photos I do it on photobucket but it still shows up wrong on my post how can I fix this? The second most interesting man in the world. Photobucket has slightly changed the way to "copy & paste" photos. There is now a gear in the upper right hand corner of your picture when you place your cursor on the pic. If you hover over the gear a window opens with options. Select "share", which opens another window with three tabs. Select the "links" tab and then click on the hyperlink under "IMG code". TAC doesn't support uploading pics to it....we don't have the bandwidth available to host pics. Use Flickr, or similar....but not Photobucket (unless you like paying huge amounts for the priviledge), to store your photos, then use that service's linking function to link your pics into your posts here. On Flickr, when you're displaying the pic, there is a an arrow shaped icon to the lower right side of the pic....that takes you to a list of links which will put your pic into a post on different boards...Facebook, Bulletin Boards etc.....use the BB link and click on it it to copy and paste the link. 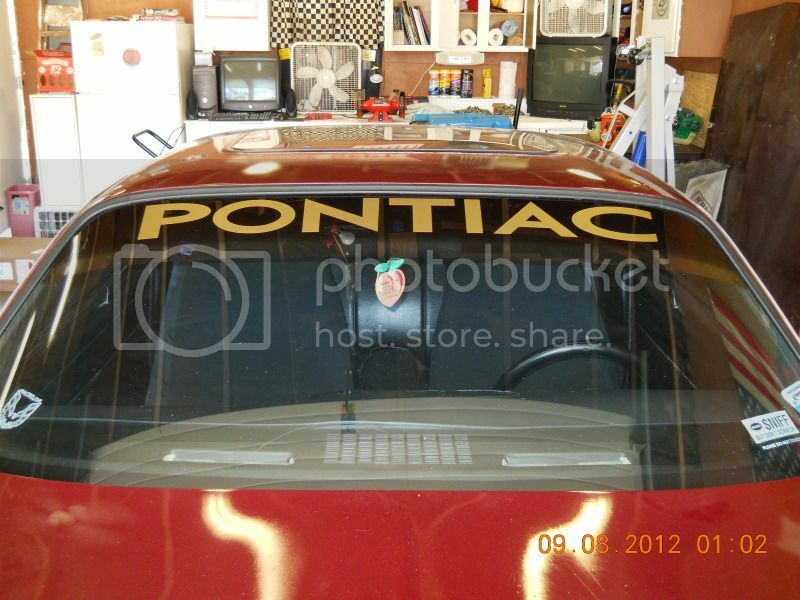 Thanks, yup done with photobucket for sure. For anybody using google chrome, you can download the "Photobucket Hotlink Fix"
plugin/addon and it will fix all the broken links on the forums. I recently switched from PB to Flicker and had to go back and re-post all my pics. Flicker is so much easier, just copy and paste the link, and it's free! Click on the photo you want to share, then click on the "share" arrow in the bottom right corner. It opens another window then click on "BBCode" in the top menu bar and the link will pop up. Copy it and paste it in your post. HELP! I need to post photos for a question about the factory striping in '79. Is there a simple way? Photobucket refuses to cooperate! Thanks! 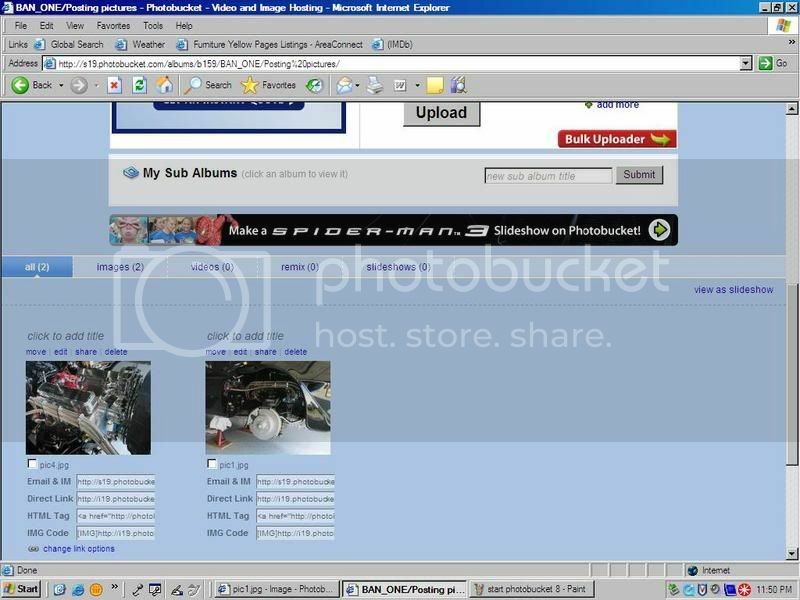 It doesn’t have to be photobucket, but it will have to be some third-party host site for pictures. Can we use Google Photos to host and link our pictures? Sorry - new to the site and don't have a Flickr or Photobucket account. Thought if I could my current Google Photos account, it would be easier. I would think so. I have a Google photo account but I’ve never linked pics from it here. I expect it should work though.